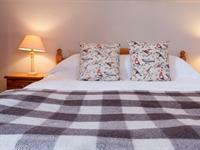 All the guest bedrooms have an individual character and are en suite. Most have wonderful sea or mountain views. Some of the bedrooms are in the Annexe next to the main Hotel building, but within easy access. Indeed the accommodation throughout is to a very high standard and we now see many guests returning each year for extended visits.